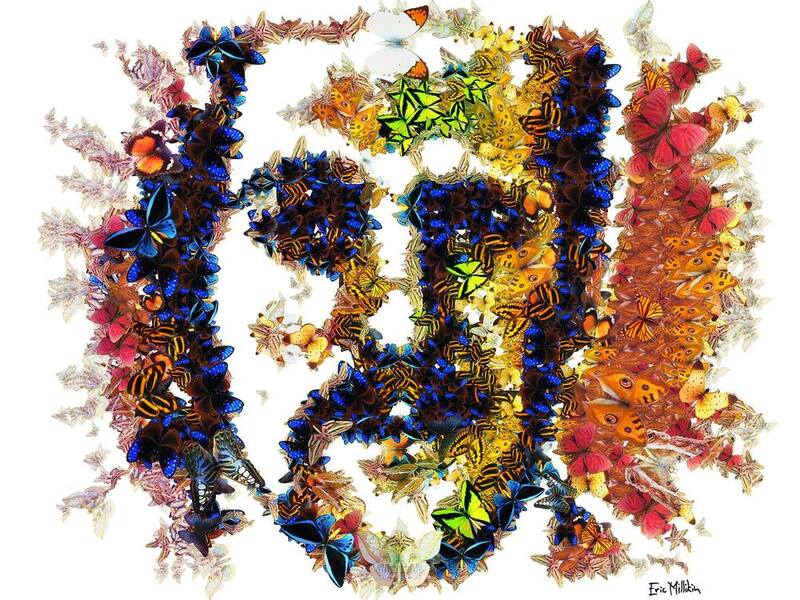 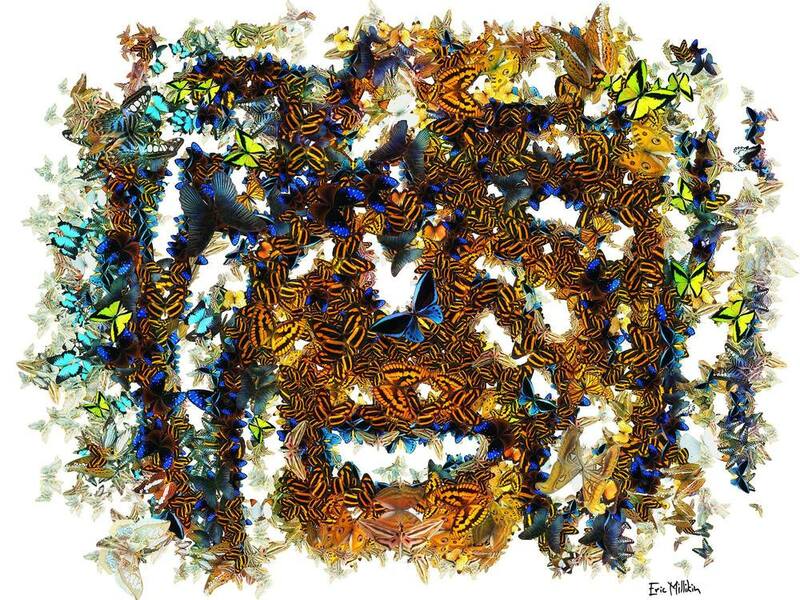 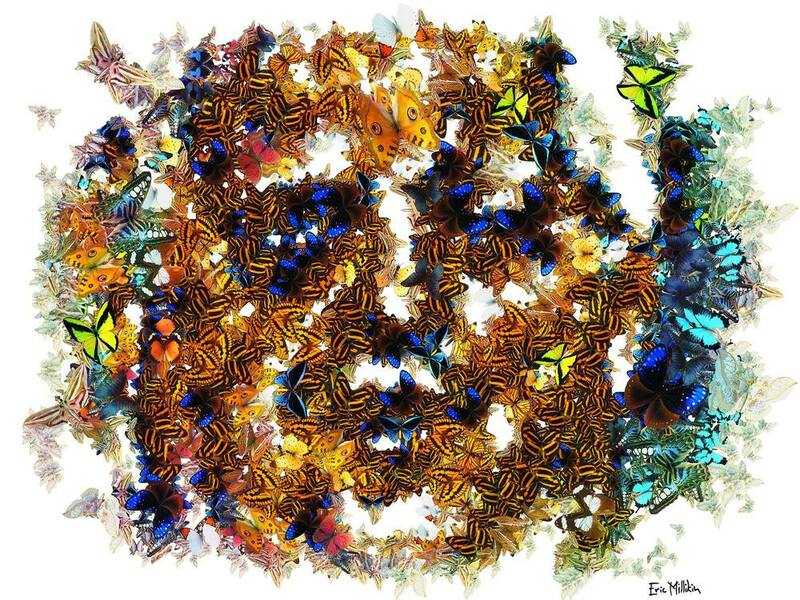 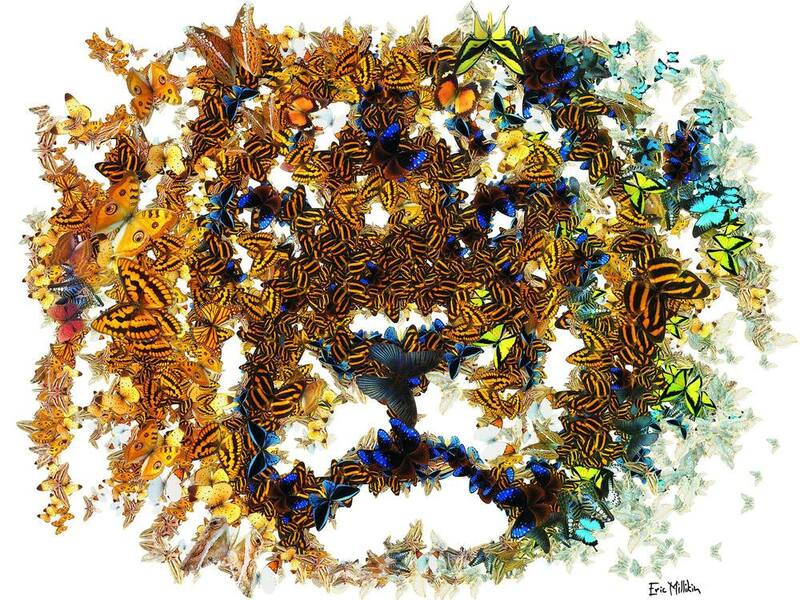 Tribute portraits made of butterflies. 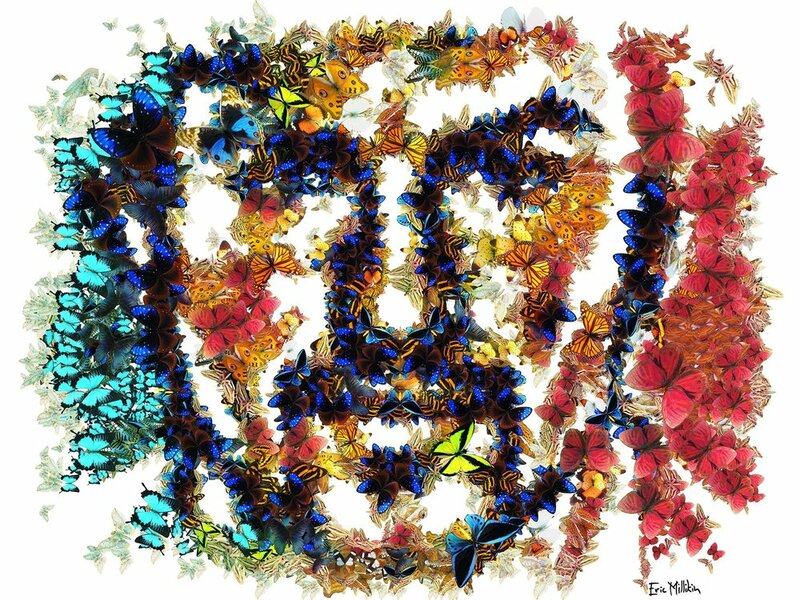 In chaos theory, "the butterfly effect" holds that the flapping of the wings of a distant butterfly can change the outcome of a hurricane. 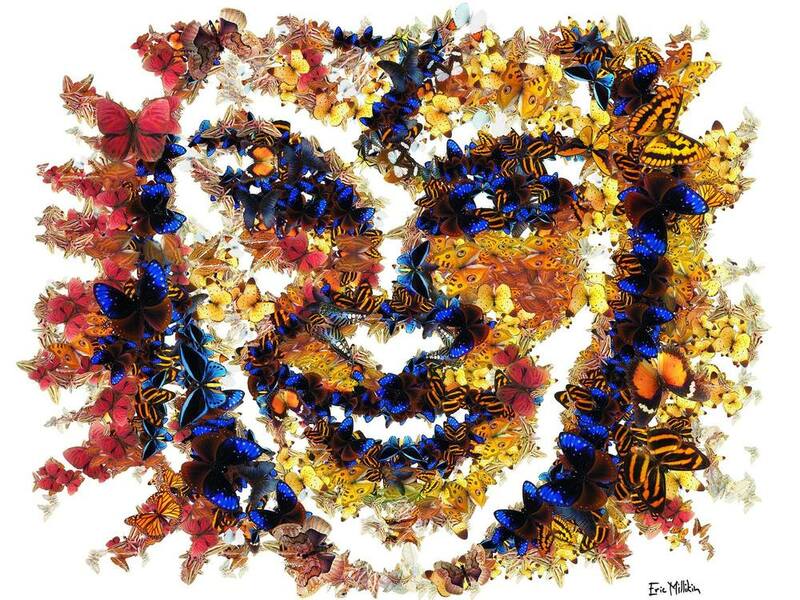 If a butterfly can affect a hurricane, then imagine how great of an effect the life these people can have on the world, or that you or I can. 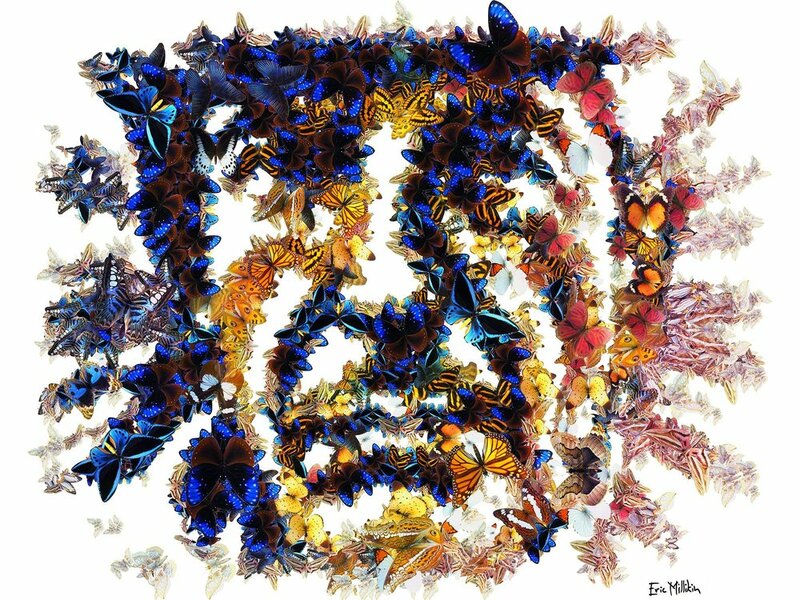 Buy a print of "Butterfly Effect: Prince"
Mail art project I did with the Long Island Arts Alliance, shortly after the November 13, 2015 attacks in Paris. 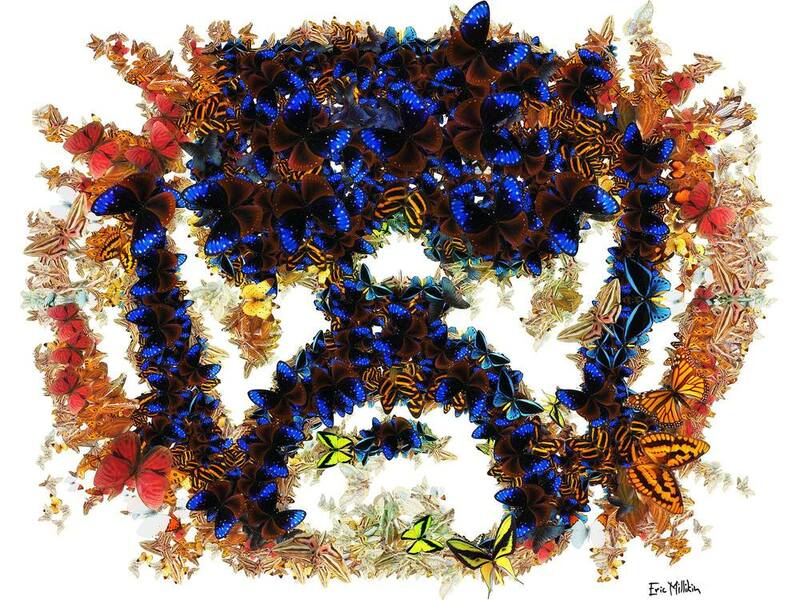 December 28, 2016 by .